Tomatoes ‘Black Zebra’ (Solanum lycopersicum 'Black Zebra'): growing, planting, caring. A Californian-born variety producing green and red fruits - suitable for warm, dry climates ! 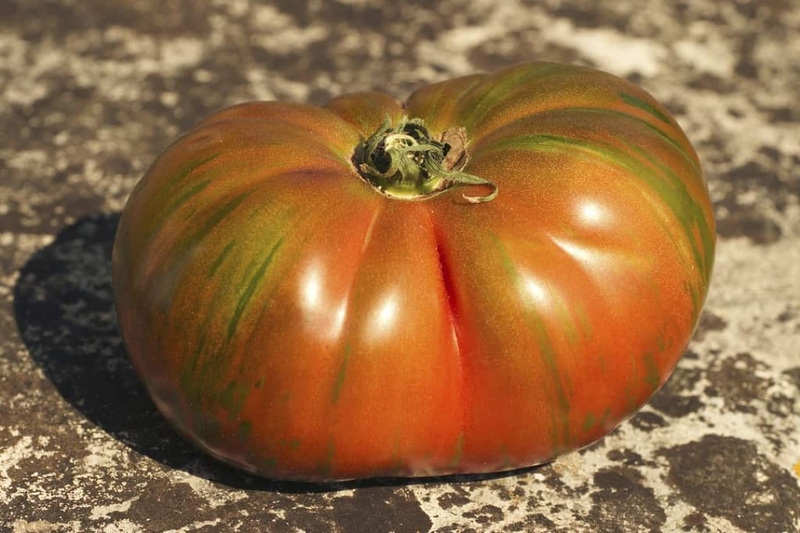 A natural and stabilized cross between Green Zebra and a black tomato by Jeff Dawson. Vigorous, indeterminate, regular-leaf tomato plants that produce 4 oz., 1 1/2", juicy, round tomatoes with purple/mahogany-colored skin with green stripes.